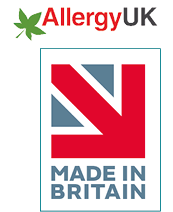 are a Class 1 Registered Medical Device - proven safe and effective in the management of allergies. The British Allergy Foundation recommend full encasements as the most effective in preventing the escape of allergens. Our Encasements have been awarded the Allergy UK Seal of Approval. Astex PRISTINE® Encasements use unique patented fabric with a pore size of 5.9 microns creating an impenetrable barrier for house dust mites (and their allergens) being able to come into contact with your skin. 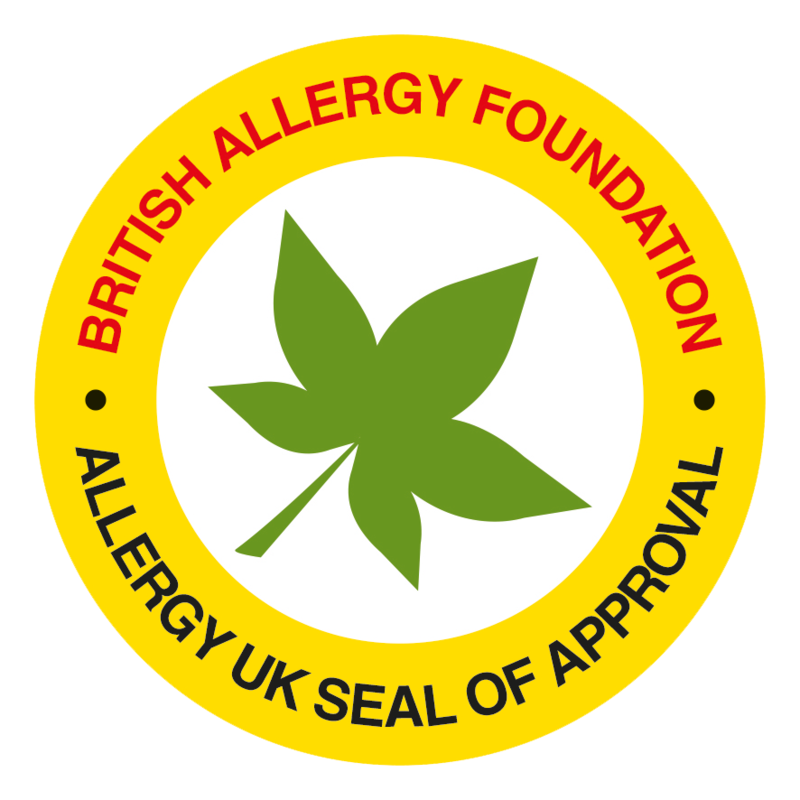 Our Encasements have been awarded the British Allergy Foundation Seal of Approval as well as being registered as a Class 1 Medical Device. 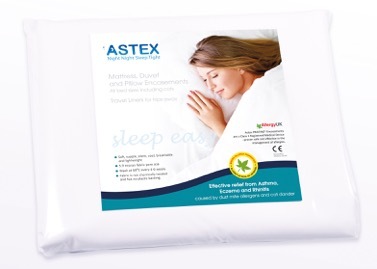 Astex Allergy Bedding Encasements are VAT FREE if you suffer from Asthma or a chronic and long-term illness such as Eczema, Rhinitis, arthritis or a disability. Please fill in the VAT Exemption form before you place your order and this will generate the code sent to your email for use when placing your order. Put the code into the coupon box at checkout to allow VAT to be deducted with final payment. The soft lattice of the selected fibre allows heat and moisture to pass through, keeping you cool and your sleeping surface dry and comfortable. The Encasements are fresh, soft, silent, supple, breathable and lightweight (no plastic backing and not chemically treated) so that you will not notice them when you sleep. House dust mites and their allergens are a known trigger of Asthma, Eczema and allergic Rhinitis. By keeping the house dust mite and its allergens trapped, you are able to control one of the key factors associated with allergic reactions. In June 2017 a study was completed (by Clare S Murray of the University of Manchester – Department of Infection, Immunity and Respiratory Medicine) using Astex PRISTINE® Encasements for mite sensitised asthmatic children.Study conclusion: The risk of emergency hospital attendance was reduced by 45% by fitting Astex PRISTINE® Encasements to the mattress, pillow and duvet. I purchased the encasements from Astex having suffered with allergic rhinitis for years, nightly, and was utterly delighted to notice an immediate improvement in my quality of sleep health. I have barely needed my inhaler and my nasal airways are so much clearer. I am genuinely astounded at the difference it has made. Tucking up children in dust mite-proof bedding may help reduce severe asthma attacks, suggests new UK research Read more. Marnie Riches, author, ended up needing surgery after an allergy to the tiny spiders which had infested her home left her almost deaf. Read more. Allergy UK is the leading national charity providing support advice and information for those living with allergic disease. Read more.